Senator Thompson to provide Keynote Address and join with 500+ investors to hear industry leading experts give insight on self-directed IRAs, real estate investing and much more for three full days of intensive profit-generating strategies, tax-eliminating tactics and dozens of ways to build secure, reliable revenue streams for their futures. Actor, talk show host and former U.S. Senator Fred Thompson will head up a can’t-miss keynote lineup at the 2012 Equity University Networking Conference, billed as the “Self-Directed Investing Event of the Year,” which will take place September 28-30 in Orlando, Florida. Thompson represented Tennessee in the U.S. Senate from 1994 to 2002, where he was known for an independent approach to campaigning and his relentless pursuit of lower taxes. He also hit the campaign trail in recent years in his bid for the U.S. Presidential post. Many also recognize Thompson from his roles in many films and television shows, especially as New York District Attorney Arthur Branch on the Emmy Award-winning NBC drama, Law & Order. He also has hosted a daily radio show called The Fred Thompson Show. Thompson will provide conference attendees with a glimpse into life in the spotlight, including his rise to leadership positions and how he has made the most of opportunities presented to him. The conference, billed as the “Self-Directed Investing Event of the Year,” will also include insights from industry titans including Own America CEO and talk show host Greg Rand, RealtyTrac Vice President Daren Blomquist and Joseph Toms, Chief investment Officer of Prosper.com. Attendees will also hear from many everyday investors who will reveal how they are successfully taking control of their financial futures with self-directed IRAs. Those interested in attending the conference are encouraged to register now before the price increases on September 1. Additionally, Equity University has secured a limited number of rooms at the Peabody Orlando Hotel at the discounted rate of $139. Each conference registration also includes free educational bonuses and giveaways valued at more than $1,000. Attendees also have an opportunity for a once-in-a-lifetime experience. One lucky registrant who signs up before September 1 will be chosen at random to take part in a meet-and-greet with Senator Thompson. A Self-Directed IRA enables an individual to invest his or her retirement savings in the stock market as well as alternative investments like real estate, renewable energy, precious metals and much more. The conference meets the need for quality education on this attractive investing approach which continues to grow in popularity due, in part, to current economic conditions and market volatility. 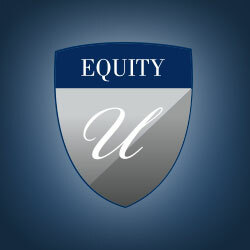 Register now for the 2012 Equity University Networking Conference or get more information at SDIRANetworking.com. Registration can also be completed by calling 1-888-382-4727, ext. 393. Equity Trust Company, with its corporate headquarters in Cleveland, Ohio and operations in Waco, Texas and Sioux Falls, South Dakota, is at the forefront of the self-directed retirement plan industry. The company specializes in the custody of alternative assets in self-directed IRAs, Coverdell Education Accounts, Health Savings Accounts and qualified business retirement plans. Along with its affiliates, Equity Trust provides services to more than 130,000 individuals and businesses nationwide with approximately $10 billion in assets under custody. Since 1974, the company and its affiliates have helped investors make tax-free profits through education, innovation, and a commitment to understanding individual needs. Visit TrustETC.com for more information.